If you love pickles, there is good news. Those great tasty side items and burger toppers are actually good for you. Finally, something that tastes great and is healthy. What is more, pickle brine is intensely good for you. If you have felt shame for guzzling the pickle juice right out of the jar because you like the taste, be ashamed no more. Here are eight benefits of drinking pickle juice. Instead of water, try drinking pickle juice. Water will hydrate you but to get hydrated quicker and stay that way, you need a drink that has sodium as well as potassium in it. That is where pickle juice is king. It has got both of those electrolytes in it. You might get weird looks at the gym when you pull out your bottle of pickle juice, but you will never feel more refreshed and hydrated. If you feel sore after your workout, drink down some pickle juice. It will ease the aches and pains of your muscles and help you recover faster. Sports drinks are not just sugary. They are expensive too. They really add up on your grocery budget. Pickles, however, are very cheap. You can also make your own pickles by simply putting cucumbers in a jar with garlic, vinegar, and salt. This way, you can save a lot and stay hydrated too. If the thought of drinking pickle juice out of a big, wide-rimmed jar is undesirable, you can find it much more conveniently in cans. This makes it easier to drink for some, though you can simply pour it into a plastic water bottle and take it along with you that way. Believe it or not, pickle juice has a good quantity of vitamins C and E, as well as antioxidants. This all helps give a big boost to the functionality of your immune system, and it promotes health throughout your entire body. Since vinegar is known to promote weight loss and pickle juice just so happens to be mostly comprised of vinegar. Coincidence? Yes! Getting vinegar in your diet every day is a healthy way to encourage weight loss. Vinegar has also been shown to help control a person’s blood sugar levels. When drank before a meal, it is most effective and can help people with type 2 diabetes too. 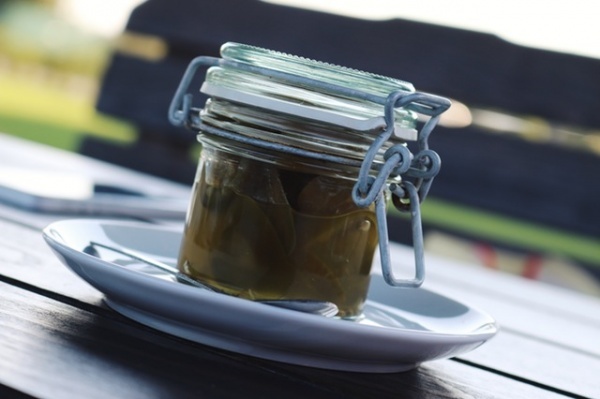 It might be the last thing you think of ingesting when your stomach is going bonkers on you, but pickle juice has long been touted as a huge reliever of an upset stomach. Give it a try the next time your stomach upsets you. Blend a few ounces of it into water or a recovery shake after your workout. Add pickle juice to the things you eat like salads, including tuna salad and egg salad. Use it as a marinade for chicken, fish and meat. Do you like pickle juice? How will you start incorporating it into your diet?